The road to the 2019 IIHF World Junior Championship in Vancouver and Victoria, British Columbia, this December began this past week in Kamloops at the 2018 World Junior Showcase featuring 40 of Canada’s National Junior Team hopefuls and an overall assembly of 47 Canadian Hockey League stars including 26 from the Ontario Hockey League. Finland, Sweden, and the United States joined the host Canadians over the eight day event that included 11 showcase games. After competing with split squads for the first two days, Canada and the United States met as single units on Saturday each holding wins over the Finns and the Swedes. A spirited battle ended 6-5 in favour of Canada who wrapped up the showcase with three consecutive victories. Studnicka was Canada’s Player of the Game with a goal and an assist in the finale, a performance matched by Ty Dellandrea of the Flint Firebirds. 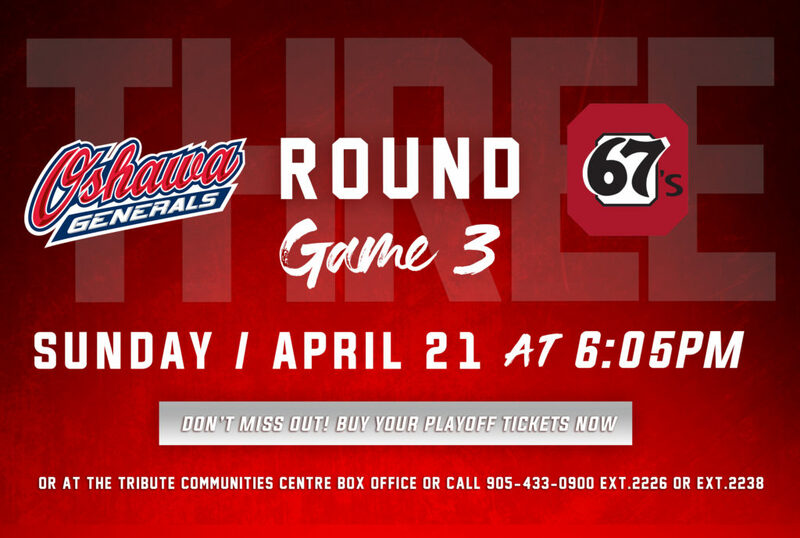 “It was a tight game, two competitive teams who have a bit of a rivalry, and it was a hard-fought game – competitive right to the buzzer,” noted the Dallas stars first round pick. Here’s a closer look at all 11 games highlighting top OHL performances. Rickard Hugg (Kitchener Rangers) scored shorthanded at 17:28 of the third period to provide Sweden with insurance to claim their first win of the showcase. This was the first test for the United States with a split squad that featured forward Sasha Chmelevski (Ottawa 67’s) and defenceman Alec Regula (London Knights) in action. Cole Coskey (Saginaw Spirit) scored just 2:06 into the opening frame and tied for a team-high with two points as USA White picked up the win in the first of two split-squad games. Minnesota Wild prospect Ivan Lodnia (Erie Otters) scored an empty-net goal and New York Rangers prospect Joey Keane (Barrie Colts) picked up one assist in the win. Linus Nyman (Kingston Frontenacs) scored the game-tying goal then added one in the shootout lifting Finland to their first showcase victory. Chicago Blackhawks prospect and future London Knight Adam Boqvist had one assist in the contest for Sweden. San Jose Sharks prospect Sasha Chmelevski (Ottawa 67’s) scored the game’s first and last goals lifting USA Blue to their first win. Boston Bruins prospect Kyle Keyser (Oshawa Generals) stood tall between-the-pipes with 23 saves in victory. Arizona Coyotes first round pick Barrett Hayton (Soo Greyhounds) scored once for Canada White with Edmonton Oilers first round pick Evan Bouchard (London Knights) assisting on the tally. Ivan Lodnia (Erie Otters) and Jason Robertson (Kingston Frontenacs) each scored once with an assist and Cole Coskey (Saginaw Spirit) added a helper in USA White’s second straight win. Columbus Blue Jackets first round pick Liam Foudy (London Knights) picked up two assists which tied for the Canada Red lead in points. 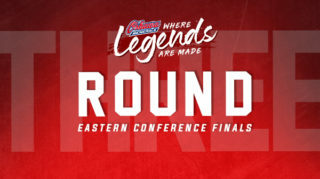 Nick Suzuki (Owen Sound Attack) and Isaac Ratcliffe (Guelph Storm) also scored for Canada despite the loss while fellow OHL talents Alex Formenton (London Knights), Morgan Frost (Soo Greyhounds), Ryan McLeod (Mississauga Steelheads), and Jack Studnicka (Oshawa Generals) contributed single assists. Michael DiPietro (Windsor Spitfires) 13/18 and Matthew Villalta (Soo Greyhounds) 12/13 split goaltending duties in their showcase debut. Rickard Hugg (Kitchener Rangers) scored 16 seconds into the contest and added his second at 3:02 to give Sweden an early 2-0 lead. The United States battled back with Dallas Stars prospect Jason Robertson (Kingston Frontenacs) contributing a goal in the team’s first victory as a single unit at the summer showcase. Liam Foudy (London Knights) picked up the lone assist for OHL talent in a contest that required extra time for the Canadians to pull off the W. Returning National Junior Team gold medalist Maxime Comtois (Drummondville Voltigeurs) scored the OT winner at 4:33 with help from fellow Anaheim Ducks prospect Antoine Morand (Halifax Mooseheads) and Calen Addison (Lethbridge Hurricanes) who had two assists. New York Islanders first round pick Noah Dobson (Acadie-Bathurst Titan) had two goals and Detroit Red Wings prospect Michael Rasmussen (Tri-City Americans) finished with a goal and an assist. Morgan Frost is trying to make the most of the opportunity as he continues to battle for a spot on Canada’s #WorldJuniors roster. Kyle Keyser (Oshawa Generals) got the start for Team USA and stopped nine of the 10 shots he faced in first half action helping the red, white, and blue secure their second straight victory. Just one day after announcing his commitment to the Sudbury Wolves, Buffalo Sabres prospect and third overall CHL Import Draft pick Ukko-Pekka Luukkonen made 29 saves on 31 shots for Finland. Four different goal scorers helped pace Canada’s offense leading to a second straight showcase victory. 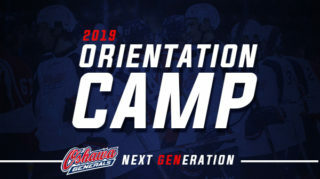 Two of them were OHL stars including Team Canada returnee Alex Formenton (London Knights) and OHL champion MacKenzie Entwistle (Hamilton Bulldogs). Jared McIsaac (Halifax Mooseheads) and Joel Teasdale (Blainville-Boisbriand Armada) also found the back of the net. Barrett Hayton (Soo Greyhounds) had one assist. 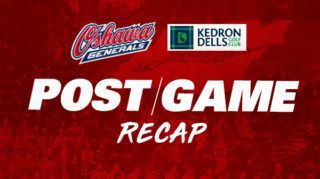 Matthew Villalta (Soo Greyhounds) was perfect in goal with eight saves giving way to Michael DiPietro (Windsor Spitfires) who finished the game with 18 saves on 19 shots. Fastest lap of the day goes to… @MattVillalta31! ? 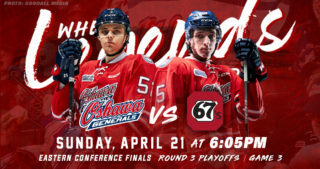 Ty Dellandrea (Flint Firebirds) and Jack Studnicka (Oshawa Generals) had a goal and an assist each leading Canada to a third consecutive win to wrap up showcase action for the hosts. Canada built a four-goal lead with additional singles from Nick Suzuki (Owen Sound Attack), Michael Rasmussen (Tri-City Americans) and MacKenzie Entwistle (Hamilton Bulldogs) before the Americans battled back to tie the game. Pittsburgh Penguins prospect Calen Addison (Lethbridge Hurricanes) broke the 5-5 tie with his second goal of the showcase at 4:01 of the final frame. Los Angeles Kings prospect Jaret Anderson-Dolan (Spokane Chiefs) provided two assists for Canada, while Liam Foudy (London Knights) picked up his fourth assist in three games. 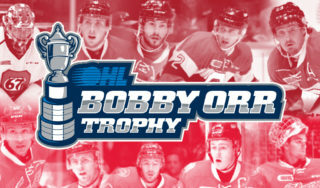 For Team USA, Sasha Chmelevski (Ottawa 67’s), Joey Keane (Barrie Colts), and Jason Robertson (Kingston Frontenacs) all contributed single assists. Matthew Welsh (Charlottetown Islanders) started for the Canadians and made 11 saves on 13 shots before giving way to Matthew Villalta (Soo Greyhounds) who made 23 saves on 26 shots in the game’s second half. The Swedes put a cap on summer showcase action in Kamloops with a 5-3 victory over Finland in a see-saw affair. The teams traded goals and were even at 2-2 after 40 minutes before Sweden pulled ahead for good with a pair in the opening five minutes of the third. Rickard Hugg (Kitchener Rangers) had one assist in the finale. With the eight-day summer showcase now complete, Brad McEwen, head scout for Hockey Canada, will continue to monitor and scout the Canadian camp attendees and other potential team candidates at the start of the 2018-19 season and at the CHL’s CIBC Canada-Russia Series to determine the invites to Canada’s National Junior Team selection camp in December. Following the selection camp, 22 players will wear the red-and-white looking for back-to-back gold medals when they REPRESENT Canada on home ice at the 2019 IIHF World Junior Championship from Dec. 26, 2018 to Jan. 5, 2019. Fans from across all of Canada, and around the world, are gearing up to REPRESENT when the 2019 IIHF World Junior Championship opens in Vancouver and Victoria on Dec. 26, 2018. The sale of full-event ticket packages have outpaced initial projections as the West Coast prepares to REPRESENT for the first time since 2006. Limited full-event ticket packages are available at HockeyCanada.ca/Tickets. The @HC_WJC is returning to home ice. It’s time to #REPRESENT. ??? For more information on Hockey Canada, Canada’s National Junior Team, and the 2019 IIHF World Junior Championship, please visit HockeyCanada.ca, or follow along through social media on Facebook, and Twitter or #WorldJuniors.